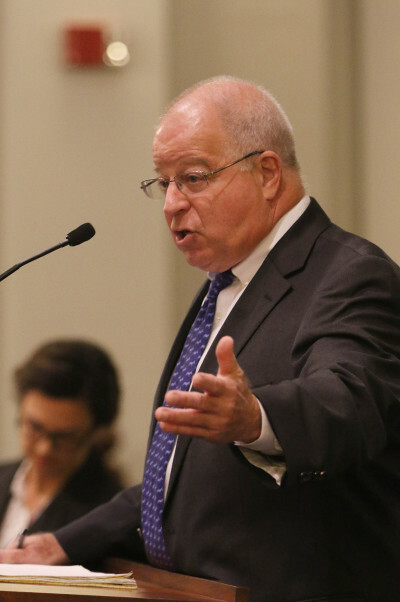 Accused of stealing the chief’s mailbox, Gerard Puana fires the latest legal salvo in a case that has led to a police corruption investigation. Gerard Puana, the man once accused of stealing Honolulu Police Chief Louis Kealoha’s mailbox, filed a lawsuit in federal court Wednesday saying he was the victim of abusive police tactics and malicious prosecution stemming from a family fight over money. 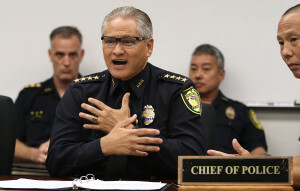 In the complaint, Puana said the chief and his wife, Katherine Kealoha, a high-ranking city prosecutor, worked with at least five Honolulu police officers, who are also named as defendants in the case, to systematically deprive him of his rights by stealing money, forging documents, conducting improper surveillance and lying to investigators. 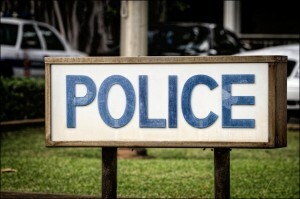 The complaint further states that the Kealohas and the officers abused their law enforcement powers and were engaged in “a pattern of racketeering activity” that ultimately resulted in him being wrongfully arrested, jailed and prosecuted. Puana is Katherine Kealoha’s uncle, and his lawsuit alleges she took money from him and his mother, Florence Puana, to make investments and pay off personal debts. Honolulu attorney Eric Seitz filed the lawsuit on behalf of Puana. Seitz said he did not want to comment on the case other than saying that he needed to initiate litigation now due to the statute of limitations involving some of the legal claims. Myles Breiner, who the Kealohas hired to defend them from possible criminal charges, said Wednesday that his clients continue to deny they’ve done anything wrong. He declined to comment specifically about the lawsuit. If the allegations sound familiar, it’s because they are. The Puanas sued Katherine Kealoha in 2013, saying that she had bilked them out of hundreds of thousands of dollars so that she could spend it on herself and her husband, including $25,000 for a celebration of Louis Kealoha’s promotion to chief of police. While that lawsuit was pending, Puana was arrested for stealing the Kealohas’ mailbox and charged with a federal crime. The mailbox case was dismissed, however, after the chief caused a mistrial by improperly revealing information about Puana’s criminal past. But by then, Puana’s defense attorney, Alexander Silvert, had already begun telling jurors that he had evidence his client had been framed to help the Kealohas settle a family score. That evidence was eventually forwarded to the FBI for investigation, and the U.S. Department of Justice impaneled a grand jury to look into allegations that the Kealohas and others were involved in public corruption and abuse of power. That investigation is ongoing. In the meantime, a jury sided with Katherine Kealoha in the lawsuit filed by the Puanas, awarding her more than $650,000 in damages. The verdict has since been appealed. Puana’s latest lawsuit adds new layers of complexity to the saga, with detailed allegations of specific crimes he claims were perpetrated against him. 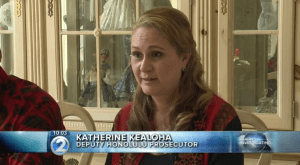 The new lawsuit’s allegations date to January 2007, when Puana said Katherine Kealoha approached him about an opportunity to join an investment group she was a part of. The following month, Puana gave Kealoha $25,000 to invest with the group. From May 2007 to October 2008, Puana’s lawsuit states, he received nearly $11,000 in returns from the group, which he withdrew using an ATM card Kealoha had given him that was attached to an account she had set up on his behalf. In November 2008, Puana said he gave Kealoha an additional $15,000 after she came to him with another investment opportunity. Puana asked Kealoha in December 2008 if he could use the money he’d given her for a down payment on a condominium. He said she told him that the money wouldn’t be enough and he should instead talk to his mother — her grandmother — about getting a reverse mortgage on her home so that he could buy the condo and the Kealohas could consolidate their personal bills and refinance their own property. The lawsuit states Katherine Kealoha told Puana he could make payments directly to her and that she and her husband would pay off the reverse mortgage in three to six months. But in 2009, as Katherine Kealoha worked to obtain the reverse mortgage for her grandmother, Puana alleges in the lawsuit that she presented the title company a “fake and fraudulent trust document” related to the “Gerard K. Puana Revocable Trust” that appeared to have been notarized by Allison Lee-Wong in 2007. The lawsuit states that the Hawaii Attorney General’s Office, which tracks licensed notaries, had no records indicating that Lee-Wong was in fact a notary. 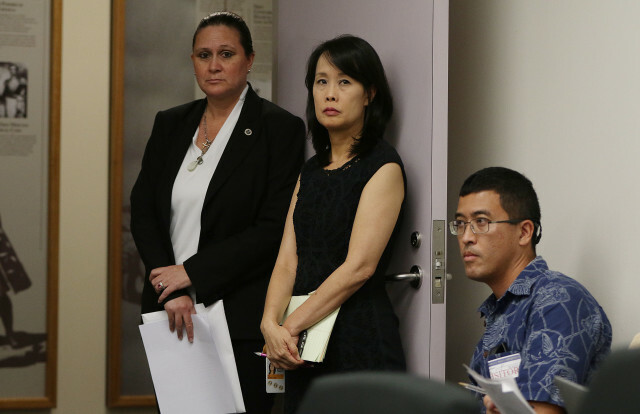 Instead, the lawsuit states that Lee-Wong was Kealoha’s assistant when she worked at the state Office of Environmental Quality Control. In addition, Puana’s lawsuit states that two of his signatures on the revocable trust document were made by someone else and that the assets listed in the paperwork as his had never belonged to him. Still, the mortgage went through and the condo was purchased with Katherine Kealoha’s name on the deed. Puana said he gave her an additional $30,000 for the condo in 2009 that she would agreed to keep in a safe at her house. Less than two years later, Puana would find himself in jail. According to the lawsuit, Puana was arrested by Honolulu police Officer Chad Gibo for unauthorized entry into a home in June 2011 after an argument with a neighbor over a parking spot. At the time, Puana said he believed the doors to his home had been shut and locked by police officers after he was taken into custody. But while he was in jail, Puana says Katherine Kealoha, who was a city prosecutor at the time, and two police officers, Minh-Hung “Bobby” Nguyen and Daniel Sellers, broke into his home and took nearly $15,000 in cash, a cap gun, two knives, a memory card, clothing and hats with HPD’s logo that had been given to him by either the chief or his niece. Puana spent 72 days in jail while awaiting trial on the unauthorized entry charge. His son was unable to bail him out because the $15,000 he had at his home had disappeared, the suit states. While incarcerated, Puana said Katherine Kealoha would have state sheriffs transport him from jail to the courthouse to meet with her even though he didn’t have any scheduled hearings. Puana said in the lawsuit that she was trying to convince him to enter a drug rehabilitation program so that he could ask for leniency with the court. He eventually agreed to a deferred acceptance of a no contest plea in the unauthorized entry case, meaning it could eventually be wiped from his record. The acrimony between Puana and his niece ramped up in 2013. According to the lawsuit, Kealoha told the Bank of Hawaii in January that Puana had committed financial crimes against her and was under investigation. 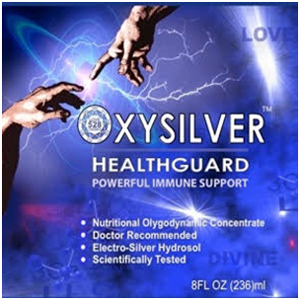 He and his mother filed the first lawsuit against Kealoha three months later. The Kealohas’ mailbox was stolen on June 21, 2013. Katherine Kealoha called 911 the following day to report the crime, although the lawsuit states she didn’t identify Puana as a suspect until June 29, 2013, after reviewing surveillance video from her Kahala home. The lawsuit also states that Puana had already been under surveillance by Honolulu police officers before he was named as a suspect in the crime. 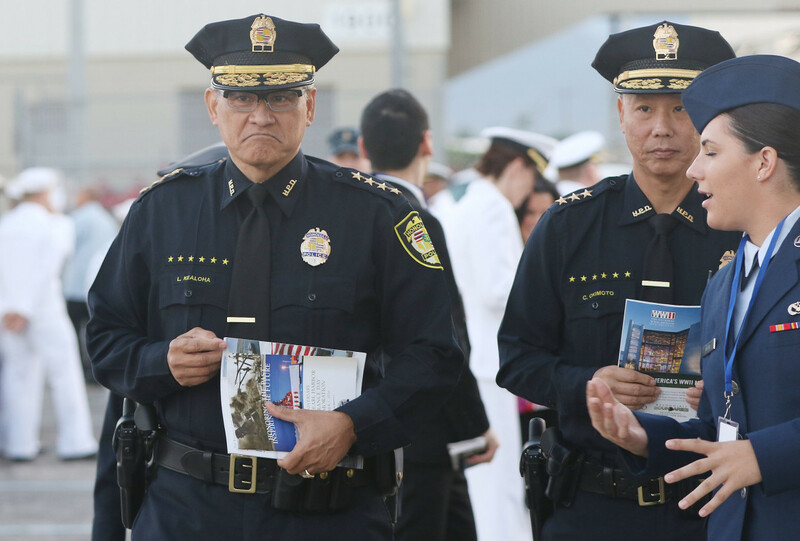 Several officers, including Nguyen, Walter Calistro, Dru Akagi and Niall Silva, are blamed in the lawsuit for mishandling evidence, falsifying reports and failing to properly investigate the case. The complaint doesn’t preclude Puana from adding more names to the list. The suit also blames Police Chief Louis Kealoha for intentionally causing the mistrial in the mailbox theft case as it played out in federal court. Follow Civil Beat on Facebook and Twitter. You can also sign up for Civil Beat’s free daily newsletter. 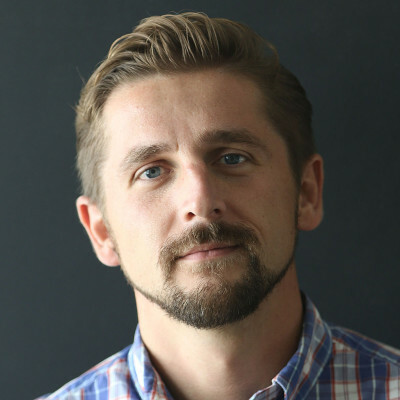 Nick Grube is a reporter for Civil Beat. You can reach him by email atnick@civilbeat.org or follow him on Twitter at @nickgrube. 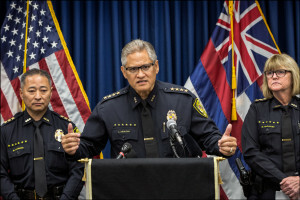 To read more about police corruption rampant in Hawaii and the grand jury investigations collateral to this case CLICK HERE.